With so many new cigar brands having perished in the market slowdown over the past year, one might be surprised to learn there are still many more brands available today than there were before the cigar boom. The trick is finding them. These survivors, in addition to a few brave souls just now entering the cigar game, are proving that a cigar company doesn’t need exceedingly deep pockets or widespread name recognition to gain loyal customers. Today, “boutique” cigar brands – defined here as brands with a production of less than 1.5 million sticks per year – are filling a niche in the American cigar market. Much as micro-brews broadened the domestic beer market, the presence of these brands enhances the array of high-quality choices available to cigar lovers. And, despite the doom-sayers who predict that any cigar not named Fuente, Macanudo, or Davidoff won’t survive the market purge, these boutique operations are all looking to the future with unfettered optimism. So how have some boutique cigar makers survived the hostile market conditions, while so many others have perished, and why are the survivors so upbeat? SMOKE recently visited with four prominent boutique cigar manufacturers to find the answers…. The quaint Moore & Bode operation in Miami’s Little Havana might possibly be the quintessential boutique cigar company. Owned and operated by the husband-and-wife team of Robert Bode and Sharon Moore, the concept for Moore & Bode Cigars sprouted in 1984, motivated by the couple’s distaste for the Cuban government, which was at the time holding Bode’s brother against his will. The idea of manufacturing a product to compete with Cuban cigars as a form of active protest appealed to them, despite their lack of background in tobacco. In 1990, after six years of intense preparation, the company opened its doors. Armed with one cigar roller and one blend for their line of cigars (called “Miami”), Moore & Bode got a big boost early on from a Miami Herald article about the fledgling company, which focused on the fact that Moore is a woman and not of Hispanic origin – a rather unique pedigree for a cigar manufacturer at the time. “A lot of women read the piece and suggested that their husbands come by our factory,” Moore points out. Most notably, a Canadian diplomat and some movers and shakers from Los Angeles became Moore & Bode converts and helped to spread the word in their respective circles. Through word-of-mouth and grass roots-style promotions, Moore & Bode gradually established a legion of followers attracted to the company’s exquisitely crafted, mild cigars. 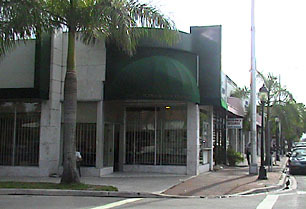 In 1992, the company began to open accounts with tobacconists outside Miami, which spurred further growth and recognition. With the advent of the cigar boom, Moore & Bode were determined not to allow increasing demand alter their approach to their work. Instead, they focused on maintaining what they had worked so hard to build by keeping production limited. “The only reason we’re standing today is because of our unwavering dedication to the standards we set at the beginning,” Moore states. Despite increased competition for high-quality tobacco and attempts by rival factories to steal their workers, Moore says they were able to stick to business-as-usual during the chaos of the boom years. In 1995, the company introduced a second blend, called Flamboyán, described as more full-bodied than the light, clean style of “Miami.” The company also offers Flamboyán Dark, which is the same as Flamboyán, except the Connecticut shade wrapper is used as the binder and the binder leaf is placed on the outside. According to Moore, this interesting twist imparts a slight variation of the Flamboyán flavor by putting the smoker’s mouth in contact with the darker binder leaf. This fall Moore & Bode plans to release a new blend that features a wrapper leaf they’ve grown themselves – a first for the company. While Moore won’t reveal many details, she doesn’t hide her excitement. “It’s a cigar for the armchair adventurer, because the aroma and taste are very exotic,” she gushes. As a company which has always moved at its own pace, Moore & Bode will flourish no matter which direction the cigar market takes. However, there is one issue that Moore feels the cigar industry must address to ensure a better future for both consumer and manufacturer alike. “We are adamantly against fumigation of cigars and tobacco,” she states. 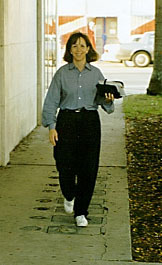 “We’ve searched for alternative methods and have determined that the answer is deep-freezing, which kills every egg and larvae, and doesn’t harm the cigar or the tobacco.” Moore believes that all cigar makers need to move towards eliminating chemicals in the growth and treatment of tobacco, which she feels are primarily responsible for the bad reputation tobacco has received. With her proven determination behind the cause, one can’t help but believe that her voice will be heard loud and clear.